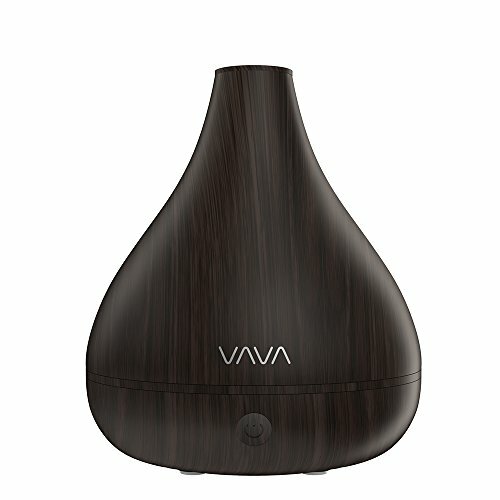 VAVA humidifiers add moisture to improve air quality for your home and office：relief the discomforts such as nasal congestion, skin and eye dryness; alleviate many common nuisances such as static electricity and cracks in furniture. Studies also show that the flu virus don't spread well in humidity. 1. Remove the water tank, lift it upside down. 2. Rotate the tank cap to “open” to remove the cap. 3. Add an appropriate amount of water into the tank. Add several drops of essential oils into the water tank if you like. 4. Screw the cap back on to “close” until no water leaks. Water Tank Capacity: 1.2 L / 40.6 oz. All VAVA humidifiers come with 18-month warranty. Please contact the customer services with support@vava.com if there is any problem with your product and we will get back to you with a suitable solution within 2 business days.